For centuries, the Aghori have been known as the most radical ascetics in India: living naked on the cremation grounds, meditating on corpses, engaging in cannibalism and coprophagy, and consuming intoxicants out of human skulls. In recent years, however, they have shifted their practices from the embrace of ritually polluted substances to the healing of stigmatized diseases. In the process, they have become a large, socially mainstream, and politically powerful organization. Based on extensive fieldwork, this lucidly written book explores the dynamics of pollution, death, and healing in Aghor medicine. 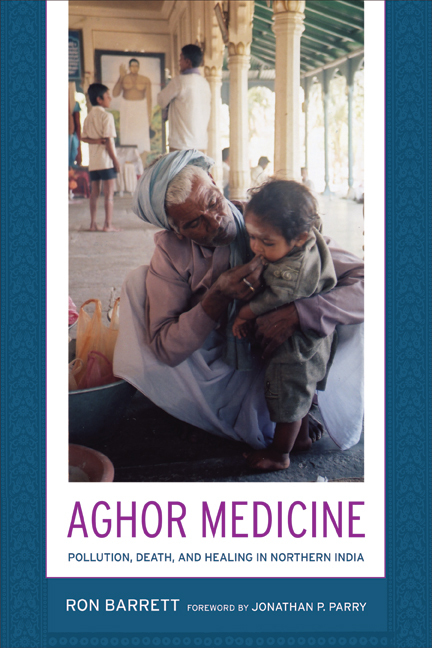 Ron Barrett examines a range of Aghor therapies from ritual bathing to modified Ayurveda and biomedicines and clarifies many misconceptions about this little-studied group and its highly unorthodox, powerful ideas about illness and healing. Ron Barrett is Assistant Professor in the Department of Anthropological Sciences at Stanford University.